Biodiversity was the focus at a gathering for the "Wild on Earth" weekend near Dundurrabin. Bush regenerators, rangers from National Parks, Aboriginal elders, land care groups, bird experts, ecologists and botanists shared their understanding of the natural wonders of the earth. This event attracted over 200 people to a property within the gold and copper mining exploration lease area operated by Anchor Resources, a 97%-Chinese-owned company. This private property adjoins World Heritage forests of Mt Hyland Nature Reserve. On this property alone there are 29 threatened species of plant and animal and the owners are very worried about the threat of mining coming into the area. There are currently drill rigs on other nearby properties. People gathered to learn about unique plants, animals, rare and threatened species, birds and insects, aquatic systems and some ‘big picture’ information on the ancient and interconnected nature of our environment. Blicks River Guardians and supporters stand together against mining on the Dorrigo Plateau to protect the rich and biodiverse eco communities in this environmentally-sensitive area. Thousands of signatures have been gathered on a petition against the mining company coming into this area. 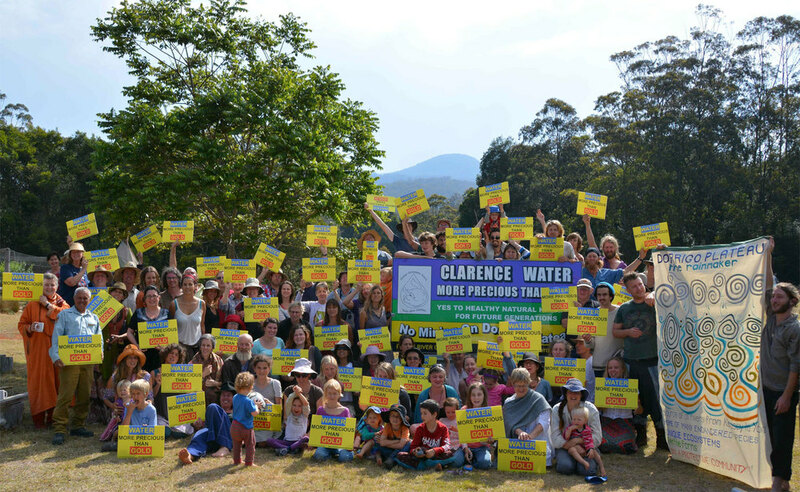 Blicks River Guardians are a community group near Dundurrabin standing together to protect our natural heritage for future generations in the headwaters of the Clarence catchment from the toxic effects of mining.